Home / ANIMATED FILMS / MOVIE TRAILERS AND INFO / Watch the Official US Trailer of the Animated Masterpiece "Song of the Sea"
Watch the Official US Trailer of the Animated Masterpiece "Song of the Sea"
GKIDS proudly presents Song of the Sea, the beautiful new film from the Academy Award-nominated filmmakers behind The Secret of Kells. 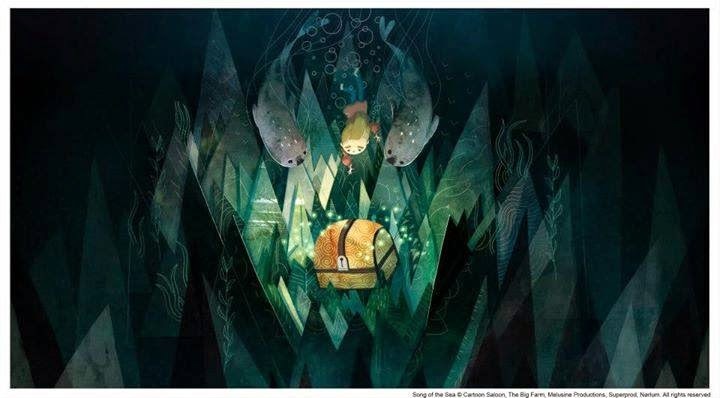 Song of the Sea tells the story of Ben and his little sister Saoirse – the last Seal-child – who embark on a fantastic journey across a fading world of ancient legend and magic in an attempt to return to their home by the sea. The film takes inspiration from the mythological Selkies of Irish folklore, who live as seals in the sea but become humans on land. I'm sure this animated movie song of the sea is really good because this film was from the Academy Awards-nominated filmmaker . More Kids will surely love this kind of movie especially the lesson of it.